Ensuring diversity in Silicon Valley tech companies will require a complete commitment to changing current institutional structures. Silicon Valley blames its lack of a diverse high-tech workforce on an insufficient supply of qualified job candidates—but this claim is a myth. Three explanations are commonly used to explain away or minimize the lack of diversity in Silicon Valley, including that diversity is an issue everywhere; that there is a lack of qualified workers of color; and that the tech sector is investing in diversity initiatives that will yield results in the near future. This report corrects these three myths using empirical data while highlighting some of the most promising, tested solutions to date. Some in the tech sector in Silicon Valley make claims to justify the lack of diversity in their workforces. The claims include that it is a nationwide problem as a result of an insufficient educational pipeline and that training biases out of individuals involved in hiring decisions can help alleviate it. Yet most of these claims lack empirical evidence. And in fact, the claims are inconsistent when measured against one another. One cannot simultaneously say diversity can be solved through training while also asserting a lack of qualified people of color are available to hire. And these claims are easily dispelled with actual data. 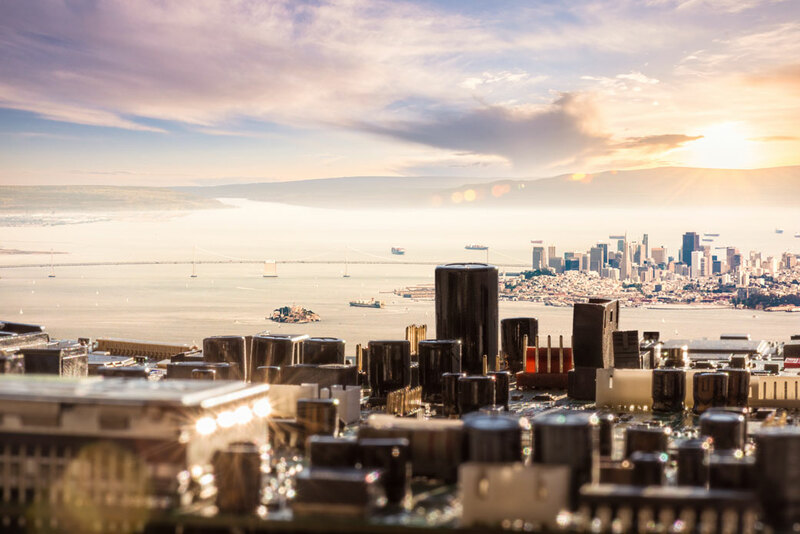 A so-called tech hub is a metropolitan area with dense networks of businesses, suppliers, and customers focused on the production and/or use of technology. But contrary to what is commonly assumed to be true, not all tech hubs lack diversity. Indeed, most tech hubs outside of Silicon Valley are noticeably more racially diverse. Figure 1 shows the number of black and Hispanic tech workers employed in a sample of metropolitan statistical areas. According to data from the U.S. Census Bureau’s American Community Survey, Silicon Valley’s tech workforce is 2.2 percent black and 4.7 percent Hispanic.5 In comparison, Houston’s metropolitan area tech workforce is 11.9 percent black and 12.6 percent Hispanic, and the New York metropolitan area’s tech workforce is 7.3 percent black and 9.6 percent Hispanic. The Atlanta and Washington, D.C., metropolitan areas both have large numbers and proportions of black tech employees—20.6 percent and 17.1 percent, respectively. Miami and Los Angeles are each comprised of a high number and proportion of Hispanic workers as well, at 29.9 percent and 12.7 percent. All of these metropolitan areas employ 1.5 times to 3.3 times the number of black and Hispanic tech workers as Silicon Valley. In many cases, tech companies point to the lack of diversity among candidates in the education pipeline as a factor that explains their absence in the workforce. Tech giants argue that there simply are not enough students of color, in particular black and Hispanic students, graduating with bachelor’s or advanced degrees in computer science or related fields. Undoubtedly, the educational pipeline is not as strong as it could be. The United States must increase K-12 access to computer science and related courses in black and Hispanic communities, and universities should revisit their institutional practices to decrease the attrition rate of students of color from tech-related programs, such as computer science and electrical engineering. This would help ensure that there is not an actual shortage of skilled workers in the future. Today, however, the educational pipeline is not the primary cause of the absence of people of color in Silicon Valley. There are literally hundreds of thousands of blacks and Hispanics with tech-related degrees across the country, many of whom graduated from top programs. According to the National Science Foundation, in 2013, there were 262,981 Americans of color ages 45 years and younger with bachelor’s or advanced degrees in computer and mathematical sciences, as well as electrical engineering—just three of several fields closely associated with high-tech jobs.6 These individuals represent 18.8 percent of degree holders. There are effective diversity initiatives, but Silicon Valley relies heavily on diversity trainings with no proven return on investment. The diversity industry is estimated to be worth $200 billion, at least $8 billion of which goes to diversity trainings.13 An estimated 43 percent of U.S. organizations report using diversity trainings, and nearly all Fortune 500 companies do so.14 Yet despite the fervor for these trainings, research indicates that the majority are ineffective or counterproductive. Studies show that they have no significant effects on individual attitudes toward racial or gender groups.15 As Harvard University and Tel Aviv University professors Frank Dobbin and Alexandra Kalev explain, while in the short term, most people learn to provide politically correct responses to questions about bias, in the long term, they “forget the right answers” and report increased animosity toward other groups following these trainings.16 Moreover, Dobbin and Kalev found that five years after establishing mandatory diversity trainings for managers, the proportion of white women, black men, and Hispanics in management positions remained stagnant, while the proportion of black women and Asian Americans decreased. The tech industry in Silicon Valley must prioritize diversity. Tech companies must invest in recruiting, hiring, and retaining the significant human capital across the country that already exists, and they should follow the lead of other major tech hubs, such as New York City; Houston; Washington, D.C.; and Miami. Silicon Valley can employ a variety of interventions that mitigate the effects of the neglect dogging this region. Tech companies should approach recruiting more systematically, with a serious commitment to diversity, than they have in the past. They should seek out potential employees of color through affinity groups on university campuses and through recruiting events at institutions that serve people of color, including predominantly white universities with relatively larger proportions of students of color, historically black colleges or universities, and Hispanic-serving institutions. They should also recruit through professional organizations and online recruiting channels for direct contact, rather than relying on outdated approaches that attract predominantly white male or Asian applicants. Firms should mandate a diverse candidate slate or short list to increase the likelihood that a person of color will be hired. This slate approach is different from a hiring quota in that a diversified slate mandates that a certain number or percentage of candidates or applicants be from a particular demographic group, but it does not require that any particular target in hiring actually be met. A series of studies published in the Harvard Business Review in 2016 found that the odds of hiring a minority were 194 times greater if there were at least two such candidates in the pool. In contrast, when only one out of four finalists was a minority, the candidate’s odds of being hired were zero.23 Thus, doubling down on efforts to get more people of color into the applicant pool is essential to ensuring that more people of color will actually be offered jobs. Many tech companies, especially tech giants in Silicon Valley, now issue diversity reports. Organizations with at least 100 employees are required to file annual Employer Information Reports with the Equal Employment Opportunity Commission that provide data about the race and gender of employees by job groupings. These reports should not be confused with comprehensive, proactive diversity plans—crucial elements to building, monitoring, and maintaining diversity within organizations. Effective diversity plans and the programs related to them are based on a foundation of concrete goals with ongoing evaluations and feedback. These plans should be based on a robust assessment—such as a cultural audit—of the organization, and the results should be translated into tangible targets that can be evaluated over time to identify progress and push continuous improvement. By including not only employee goals but also programming and policies as part of diversity plans, companies improve their capacity to evaluate the efficacy of and revise their diversity initiatives. Maya Beasley is a Senior Fellow at the Center for American Progress and an associate professor at the University of Connecticut. She is the co-founder and a principal at The T10 Group LLC, a diversity consulting firm based in Washington, D.C., and California. Her first book, Opting Out: Losing the Potential of America’s Young Black Elite, was published by the University of Chicago Press. She is currently finishing her second book, The Social Portfolio: Building Up and On The Capital of Minority and Female Professionals. In addition to her consulting and academic work, Beasley is the co-founder and research director of Diversity 360, the foundation of which is an annual “State of Diversity in Technology Report” set to launch in 2018. Beasley also serves on the strategic board for Untapped, an impact-focused initiative that provides financial capital and strategic guidance to a network of entrepreneurs of color and is a member of the international advisory board for GlobalMindED. She earned her bachelor’s degree from Harvard University and her doctorate in sociology from Stanford University.